Efren Pamies, who lives on our estate, at the Comparsas Parade last night. 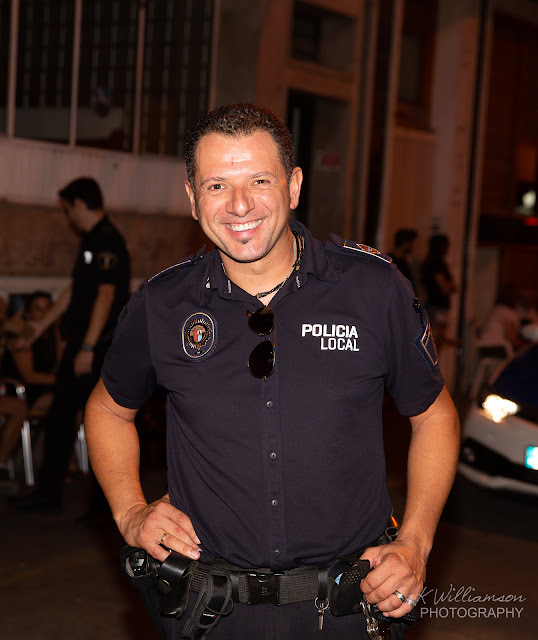 Not only is he one of our local policemen, Efren is an accomplished singer, plays guitar, takes great photos and has a keen interest in the environment. An all round good guy. See my photos from last night here.